Granulated Lime is a specially sized quicklime which meets exacting particle size specifications. Granulated lime provides our customers with a fine yet dust-free product. Increases the pH of the lawn in order to help plants absorb certain necessary nutrients. It also helps fertilizer work more efficiently. Granulated Lime should only be applied when grass is actively growing. This product should be evenly spread at a rate not exceeding 10kg/100m (1 Tonne per Hectare). Make monthly applications until the desired pH is reached. This treatment is usually applied in March, April, November or December. ACE USES PELLITIZED LIME BECAUSE IT IS BETTER IN MANY WAYS, WORKS FASTER TO RISE THE PH AND LASTS LONGER. IT ALSO STAYS WHERE WE WANT IT, IN THE TURF WITH NO MORE WHITE MESS. Crabgrass Preventative -Inhibits the growth of crabgrass from germinating (a weed that leaves seeds to germinate in the spring) and ensures a thick, consistent lawn. This treatment is applied in April or May because crabgrass only grows when the temperature exceeds 60 degrees for several days straight. Application can also be done in the fall for crabgrass prevention in the spring. Treflan Herbicide - prevents weeds without harming surrounding grass and plants. Treflan Herbicide is used in flower beds and is normally applied in April or early May. Fertilizer - enriches soil and provides essential nutrients to a lawn. Fertilizers are literally plant food additives. Very few soils are fertile enough to supply the nutrients which healthy plants need. The soil in most areas has become so depleted over the years that fertilizers and other additives must be added. Ace uses fertilizer is used at the end of March, June, Sept and in the fall. Fungicide - Helps to eradicate disease. 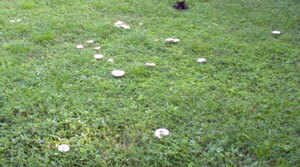 Fungus not removed from gardens can significantly hurt the health and longevity of your lawn. Fungicide is used in conjunction with fertilizer. It helps reduce brown patch dollar spots and rust. A Fungicide is one of three main methods of pest control- chemical control of fungi in this case. Fungicides are chemical compounds used to prevent the spread of fungi in gardens and crops, which can cause serious damage to the plants. Fungicides are also used to fight fungal infections. Fungicides can either be contact or systemic. A contact fungicide kills fungi when sprayed on its surface. A systemic fungicide has to be absorbed by the fungi before the fungi dies. One example is the QoI. They can be persistent in the environment and in living organisms; and so do not break down. They bioaccumulate and become increasingly toxic for other creatures in the environment. They can build up to lethal concentrations. Insect Control - Protection against ants, ticks, earwigs, chinch bugs and other insects that tend to appear. This treatment is usually applied in June, July, and/or August, when the insects are most prevalent. Grub Control - Minimizes amount of grubs, webworms and chinch bugs that tend to eat grass stems (larvae that eat away at the roots of grass). Grub control occurs in middle July or early August. 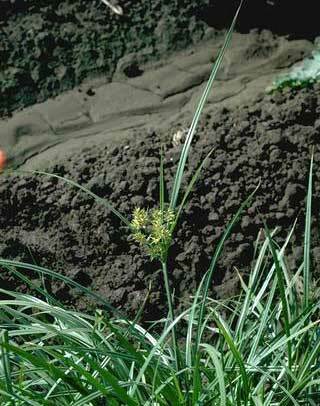 Nutsedge - Also known as nutgrass, is one of the toughest weeds to invade turf and ornamental beds. Many try to pull the plants out, but you probably already know that hand-weeding only allows the nutsedge to spread faster. July or early August or as the problem occurs or needs treatment. *This weed is a plant and it may take up to 4 years to get under control with the proper treatments and application. 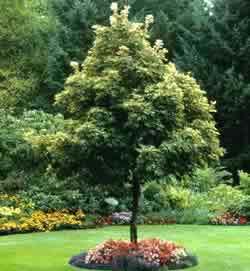 Tree and Shrub Deep Root Feeding - Trees growing in their natural habitat should have access to all of the minerals they need to survive and grow. Anything you can do to mimic that habitat can reduce the need for fertilizer. This may include letting leaves remain on the ground in the fall instead of raking them up. Chances are, though, that despite your best efforts, the need for fertilizer will not be entirely eliminated. **Prices depends on the size of the lawn area and conditions some services such as thatching (power raking service) or core aeration must be done in order for the application to work more effective and efficient. It takes at least 18 month to get the soil under control of weeds and pest with this program. ***15% discount if pre - paid before march 15 or before the 1st application for 6 treatments. 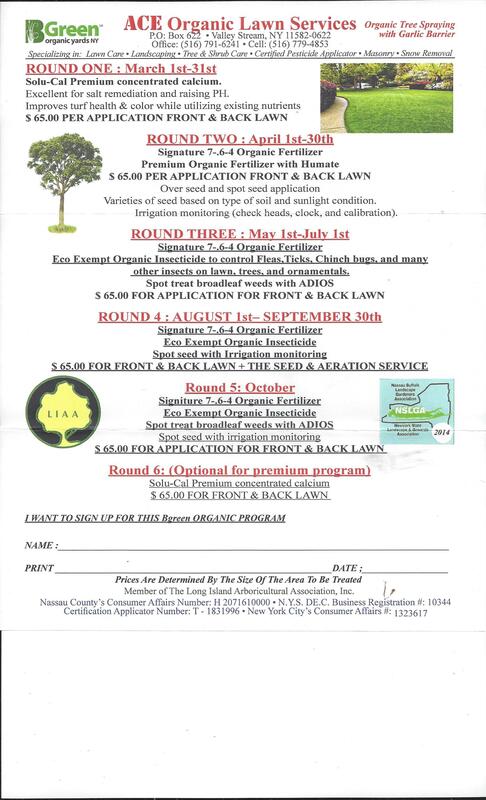 4 free applications and additional services ( thaching , earate service ) and discounts if you sign up for the 1 year program totaling 14 lawn treatments ( no 15 % discount for pre pay ) you could also be entitle to free tree & shrub treatments such as deep root feeding, horticultural dormint oil spraying. ****Sometimes you need 2 treatments of pesticide to be effective, but if you take the full service package there will be no charge for additional treatments if needed for conditining your lawn. Prestige Stucco and Mason corp.